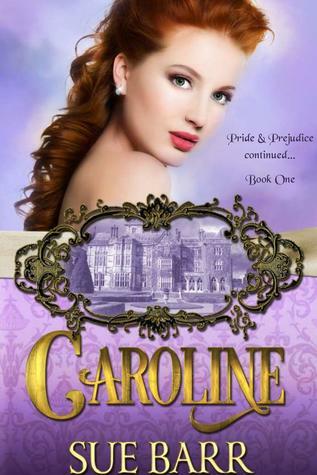 Caroline by Sue Barr, view her guest post, explores Caroline Bingley from a different perspective, following Mr. Darcy’s proposal to Elizabeth Bennet. What if all we thought we knew about Jane Austen’s foil to Elizabeth wasn’t completely true? What if there was more to her than we thought? 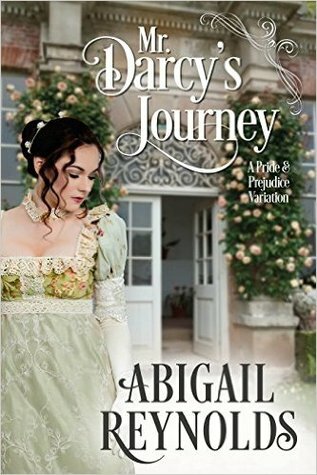 Caroline has been in love with Mr. Darcy, or at least his society position and estate, for a very long time, and when she discovers he is lost to her forever, she is devastated. She falls to an emotional low, and while turning to music and listening to her sister’s advice, she strives to make improvements — albeit slowly. But her relationship with her siblings is not as close as it could be, especially when she makes her feelings known to Charles. 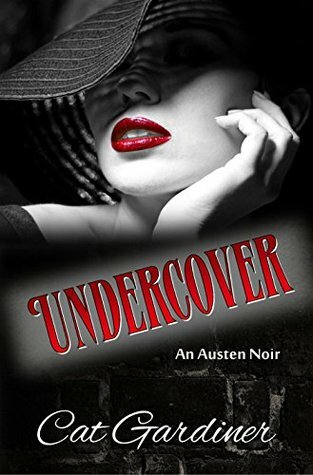 In walks, Lord Nathan Kerr, Mr. Darcy’s new vicar, and he is almost immediately besotted, but like Mr. Knightley, he takes Caroline to task for her past transgressions, even some she didn’t make. 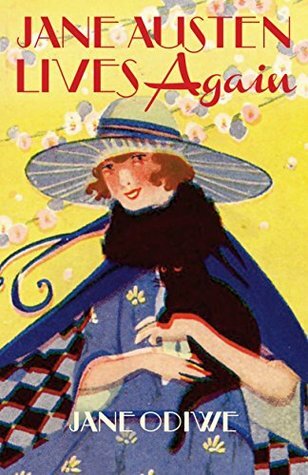 Barr creatively intertwines scripture and is never heavy handed, and she shows the gradual evolution of Caroline from social-climber to a woman who is looking for companionship, respect, and love. She has a harsh temper, which she must learn to curb, and eventually listening to the advice of her grandmother from long ago, she’s able to seek solace and learn to quiet her frustrations and anxieties enough to see the potential before her without lamenting what can never be. 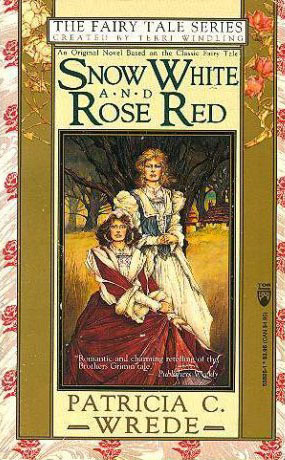 The only drawback was the convenient ending, which took away some of the redemptive qualities of the novel. But, overall, Caroline by Sue Barr is a wonderful story about a woman in need of new direction and finds it by looking at the opportunities before her that she might have spurned not too long ago. This fiery redhead learns a lot about herself and society perceptions along the way, leaving her little choice but to reform herself and become more open to love. 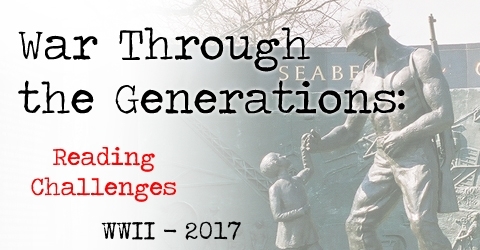 Sue Barr resides in beautiful Southwestern Ontario with her retired Air Force hubby, two sons and their families. She’s also an indentured servant to three cats and has been known to rescue a kitten or two, or three … in an attempt to keep her ‘cat-lady- in-training’ status current. Although, she has deviated from appointed path and rescued a few dogs as well. Sue is a member of Romance Writers of America and their affiliate chapter, Love, Hope and Faith as well as American Christian Fiction Writers. For more information about her other books, visit her website, her blog, and on Pinterest, Facebook, GoodReads, and Twitter. Since reading Denial of Conscience by Cat Gardiner on vacation this month, I’ve been dying to know what will happen to the Iceman and his Lizzy, modernized characters from Jane Austen’s Pride & Prejudice. Gardiner thoughtfully sent me a teaser to her new book, Without a Conscience, and her epilogue/prologue novelette, Guilty Conscience, both due out in the fall. The latter coming out a month before. In the novelette, which begs the question “Will Iceman and Liz Macarena?”, Gardiner gives readers a little tease as to what married life is like for Liz and Darcy after their whirlwind romance in Denial of Conscience. When Darcy takes off for a few days on a camping trip he planned before meeting Liz, she feels his absence strongly. Like many newlyweds, Liz and Darcy have had a passionate honeymoon and first few months of marriage. Gardiner captures this feeling really well. Can the very controlled Darcy, who holds his emotions close to the vest, let her in completely? Can the newly freed Liz learn to compromise after being essentially imprisoned at Longbourn? You get a taste of not only what married life is like for this couple — not all roses and sunshine — but also the danger that is around the corner. While Iceman has changed his ways and trains horses, could he be drawn back into black ops? You’ll have to stay tuned for the next book in the series. I’m waiting on the edge of my seat! Banana Muffins & Mayhem by Janel Gradowski is the fifth book in the Culinary Competition Mystery series, but it can be read as a standalone mystery, though some things change in the characters’ personal lives that you might prefer to unwind in order. Amy Ridley is still wrestling with the idea of having her own children after her best friend Carla gave birth to Macy. While that debate wages on in the back of her mind, that doesn’t stop Amy from entering culinary contests of every sort, and it certainly doesn’t stop killers from striking fear into the residents of Kellerton, Michigan. During the first annual Cabin Fever Cure event, DIY Home Improvement star, Phoebe Plymouth, winds up on someone’s naughty list after her sour attitude leaves many of the culinary and home improvement crowd cold. Following a few near misses in the last book, Amy’s learned to be a bit more cautious, but her new mystery-solving sidekicks are less so. She and the team begin their work independently to uncover the mystery behind Plymouth’s death and the real reason why the show’s producers are still in town even though little to no progress has been made on the case by newbie Homicide Detective Lauren Foster. When her husband Alex and his business begin receiving threats, Amy deduces that there is more to the murder than meets the eye and she’s more determined than ever to get the case solved. Banana Muffins & Mayhem by Janel Gradowski is a delightful treat to read on a summer’s afternoon with some ice tea or coffee — your preference — and settle into the chair with some Malted Chocolate Banana Muffins (recipe included). Gradowski has cornered the market on creating fun cozy mysteries with delicious recipes and quick quips. Janel Gradowski lives in a land that looks like a cold weather fashion accessory, the mitten-shaped state of Michigan. She is a wife and mom to two kids and one Golden Retriever. Her journey to becoming an author has been littered with odd jobs such as renting apartments to college students and programming commercials for an AM radio station. Somewhere along the way she also became a beadwork designer and teacher. She enjoys cooking recipes found in her formidable cookbook and culinary fiction collection. Searching for unique treasures at art fairs, flea markets and thrift stores is also a favorite pastime. Coffee is an essential part of her life. She writes the Culinary Competition Mystery Series, along with The Bartonville Series (women’s fiction) and the 6:1 Series (flash fiction). She has also had many short stories published in both online and print publications. Find her on Facebook, Twitter, GoodReads, and sign up for the Newsletter. 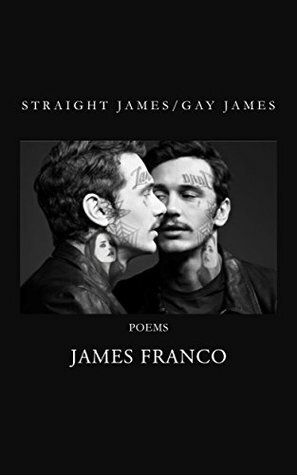 Straight James/Gay James by James Franco is a chapbook of poems, though many of these read like notes left on napkins and goofy missives that would be in a diary, never to see the light of day. Initially, the collection seems to start off with an examination of isolation and being different in poems like “Dumbo” and “Mask,” exploring the struggle to fit into the boxes we see around us. Like Dumbo in the circus. Was to drink hard with the clowns. Evoking a pop culture icon from childhood — Dumbo from Disney — readers will be drawn into the comparison, showing a poetic sophistication and a knowledge of how poetic devices can be used. As an actor and a director, the choice is not unexpected. In “Mask,” he dons a persona, one that earns him money, and it is this persona that he has a love-dislike relationship with. It is not that he dislikes the persona, but the fact that it is so loved by the media and even fans — those who pay him, providing him with the money he uses to make art. It is this art that he pushes through the envelop of preconceptions and those categories that he sought to fit into in the first poem of the collection. I want to stop here for a moment. Anna pointed me to this article in The Washington Post, which asks if it is “possible to be fair if we simply, irrationally just don’t like” a certain actor? In my case, this is James Franco. I don’t dislike him per se, but I don’t really like him either. Perhaps I don’t understand his art or his humor, but for a poetry reviewer, it’s hard to set that aside when his poetry is another form of art. With that being said, a lot of this collection is inconsistent, reads like nearly stream-of-consciousness scribbling, and in some cases, it is the ravings of a drugged out person (or so it seems). He’s trying to be avant-garde, at least that’s what it seems like. Some of this is even merely backstage commentary. The title poem, “Straight James/Gay James,” is an exercise in the ridiculous, in which his sexuality is not really explored, but skirted, and his main focus seems to be how much he loves himself. Straight James/Gay James by James Franco is an oddity that might have needed more editing and/or focus. James Franco is an American actor, film director, screenwriter, film producer, author, and painter. He began acting during the late 1990s, appearing on the short-lived television series Freaks and Geeks and starring in several teen films. In 2001 he played the title role in Mark Rydell’s television biographical film James Dean, which earned him a Golden Globe for Best Actor in a Miniseries or Television Film.